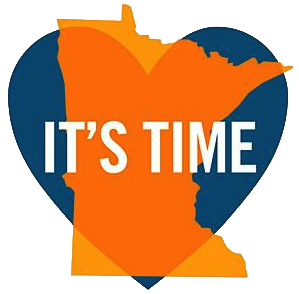 Tomorrow (i.e., today) is a truly historic day for all of us as Minnesotans, and especially for each of you who have had to endure years of living withÂ the sense that your love of another was somehow “unequal” to the love that two heterosexual folks might share. I want to take a moment and just say that I am hopeful that with this vote, the state of Minnesota will begin to create a type of society in ways that we have built our community over these past many years. I told a couple some 18 years ago that I was willing to work with them on a “Commitment Ceremony” (Simhat brit shutafot”) but was not yet able to call it marriage. I told them at the time that a generation would need to pass, enabling all to see that indeed their relationship was as sacred as my own is with Phyllis. And I said, if they were willing to be the pioneers and to (sadly have to) demonstrate that, the day would indeed come to pass that we would be celebrating the equalization of marriage. This past September, as IÂ officiatedÂ at the marriage of two women, I knew that not only was our path correct–but that it was only a matter of time before the rest of Minnesota would catch Â up with Beth Jacob. I want to sincerely say to each of you how much you have taught all of us about human dignity and the need to continually broaden our understanding of equality. The Psalmist said it this way–“This is the day which the Lord has made, let rejoice and celebrate on it” Â Today is yet another day of celebration, and indeed, moving forward we all share in the burden of building an inclusive society and strengtheningÂ a community that has worked hard to demonstrate that human dignity, that the idea of kvod habriyot, is at the core of our being. By the way, please contact us to schedule any weddings you might wish to celebrate!